With the Easter holidays now amongst us, and the weather not looking too grand, I'm going to share a few post with you on how to keep the children entertained during the Easter holidays! From arts and crafts to family movies, not only are they Easter approved, but they're also cheap to do on a budget, making not only the children happy, but the parents also! For this post, I'm going to be talking about Easter related movies, grab the popcorn, pick a movie and sit back and relax! We're going to be watching from our new Panasonic Viera, using our popcorn tubs that cost me a right bargain of just one pound each and some limited edition popcorn from Butterkist - it's hot cross bun flavoured! It's not so much about Easter, but it is Disney's newest DVD and Blu-Ray release! 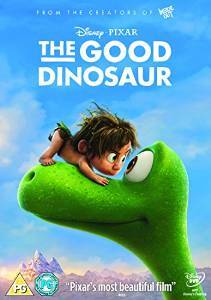 It does feature an egg at the very beginning when Arlo - the main dinosaur in the movie is born! The journey follows Arlo embarking on a new found friendship after becoming separated from his family! He meets a cave boy called Spot who's also lost his family but both are eventually reunited with their families! Be prepared for happy tears! 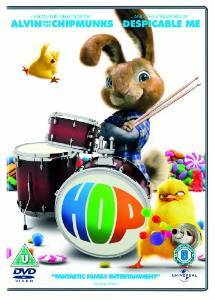 Blending state of the art animation with live action, Hop is a comedy about E.B., the teenage son of the Easter Bunny. On the eve of taking over the family business, E.B. leaves for Hollywood in pursuit of his dream of becoming a drummer. He encounters Fred, an out-of-work slacker with his own lofty goals, who accidentally hits E.B. with his car. Feigning injury, E.B. manipulates Fred into providing him shelter, and Fred finds himself with the world’s worst houseguest. The film is helmed by Tim Hill, director of the blockbuster Alvin and the Chipmunks and produced by Chris Meledandri’s Illumination Entertainment (Despicable Me). 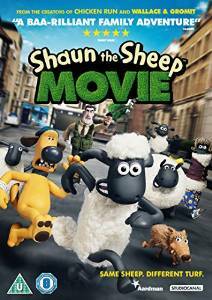 Aardman, the creators of Wallace & Gromit and Chicken Run, bring you Shaun The Sheep - The Movie. Shaun is a clever, mischievous sheep who lives with his flock on Mossy Bottom Farm, under the nominal supervision of The Farmer. Despite Shaun’s best efforts, life on the farm has got into a bit of a rut, and Shaun concocts a cunning plan - to have a day off. Events rapidly escalate out of control and Shaun’s mischief inadvertently leads to the hapless farmer being taken away from the farm and into the Big City. With the flock’s help, Shaun must leave the farm for the first time in order to rescue The Farmer. But how will the sheep survive? 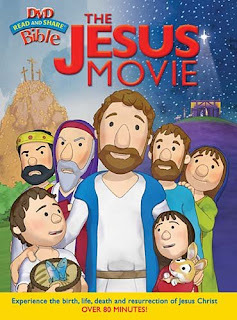 If like the Unique Young Mum household you're religious, the Jesus Movie transports children to Nazareth for the story of Jesus' birth. Showing us the true meaning of Easter, it follows his life and miracles along the shores of Lake Galilee and ends in Jerusalem with his arrest, crucifixion and resurrection - all in one dramatic 80-minute movie. The excitement and joy of Jesus' life, the danger and conflict with the Pharisees, the challenge and growth of the disciples - it's all here in a simple, straightforward narrative. More Christian titles can be found at Eden. It is the most beautiful spring day ever. 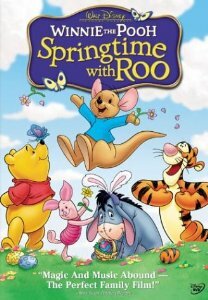 Bees are buzzing, flowers are blooming and Roo, Pooh and Tigger are ready to laugh and play but Rabbit expects them all to stay inside until every last bit of spring-cleaning is finished. Friendship and compassion provide a memorable Easter celebration in Springtime with Roo. Roo's excitement on Easter morning is boundless, but when he, Winnie-the-Pooh, Piglet, Tigger, and Eeyore arrive at Rabbit's door for the big Easter egg hunt, Rabbit seems to have forgotten Easter and proclaims it "Spring Cleaning Day" instead! Will the egg hunt go ahead!? Can you think of any others? I'd love to read your comments below!